The Hong Kong Civil Aviation Department, with a view to enhancing aviation security, has developed a Regulated Agent Regime (RAR), which has been implemented on 6th March 2000. Under the RAR, cargo tendered to airlines by agent, which is not a Regulated Agent (RA), will be treated as "unknown cargo" and subject to security control before it can be transported on a passenger flight. The processing time for "unknown cargo" will be longer and an additional charge will be levied by the airlines to cover the cost of the security control. 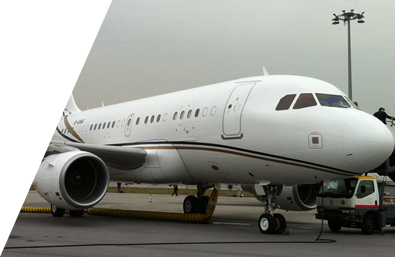 Fairate Express Ltd. is a Regulated Agent (RA) certified by the Hong Kong Civil Aviation Department. We hereby encourage our customers to become "Known Consignors" (KC) by signing a declaration declaring that the consignment does not contain explosives or incendiary devices; the consignment has not been tampered with during the preparation, storage and transportation; and the contents may be examined for security purpose. Failure to comply with the above means the shipper will be an "Unknown Consignor" and the consignment will be delayed and additional charge will be levied by the airlines to cover the cost of the security control. You are therefore requested to fill-in and sign the DECLARATION FORM and send to us by fax. The original of the form should also be sent to us by mail for our records.